I went to see Dunkirk with my 11 year old son last week. I’d read some reviews beforehand and chose the IMAX version. It’s an amazing movie that I think will bear watching again. I’ll try to avoid spoilers. The movie focuses on three stories, one on Land (over a week), one on the Sea (a day) and in the Air (an hour). The three stories are very personal perspectives and are interwoven, coming together near the end of the movie. There’s no overview, or explanation of how the British and French Armies ended up at Dunkirk. We never see the Germans, other than a couple of ME109s, a Heinkel bomber and a flight of Stukas. There’s also almost no blood and definitely no gore. Nolan is on record as saying that he consciously avoided effects that distracted viewers from the story. Throughout the Dunkirk movie men are shot and blown up, but the casualties are very much people lying around and not the bloody lumps of meat we’ve got used to seeing since Saving Private Ryan. The key viewpoint is an unnamed private soldier played by Harry Styles. He soon collects a couple of friends while on the beach. There’s very little dialogue, the story speaks of the desperation and the frantic attempts to escape. What dialogue there is keeps to the point, and there are no explanations. The soldiers first attempt to get a ship is through picking up a wounded man on a stretcher. They’ve seen that the wounded are getting priority, and when some stretcher bearers are killed in a Stuka attack Styles and his friend pick up the wounded man and run down the mole. They make the ship, but are ordered back off to collect more wounded. Each further attempt to escape meets with obstacles, they end up on a destroyer which is promptly torpedoed. They get back to the beach for another go. We’re left in suspense on whether or not they will escape. 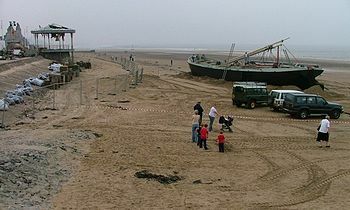 This strand follows one of the small boats from Devon. The crew are a father and his two sons. The youngest is 15 and jumps on as the boat pulls away. 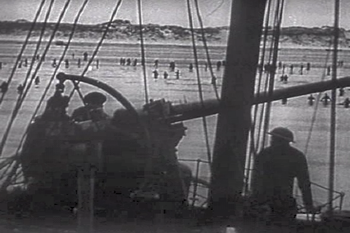 En route they pass the stern of a sunken ship with a shivering second lieutenant sitting on it. The stricken 2Lt clearly had a bad case of battle fatigue as they would have called it then. Not surprisingly given what he’d have gone through. It’s very well treated. The little ship passes more and more evidence of the scale of the evacuation as it sails to Dunkirk. As it gets closer the smoke and fire on the horizon becomes clearer, and air attacks on other ships get seen. Probably the more spectacular element is the air component. This shows a flight of three spitfires setting out on a combat air patrol over the evacuation routes. In the first scene they’re in we get a pilot pov dogfight where a ME109 goes down. Then the triumphant pilot gets shot out of the sky without even seeing his attacker. Several more dogfights occur, and eventually we see the little ship under the spitfires as the threads are tied together. The last part of the air component is the most spectacular. A fantastically well shot descent without fuel, and some frantic hand cranking of undercarriage, to land on the beach. 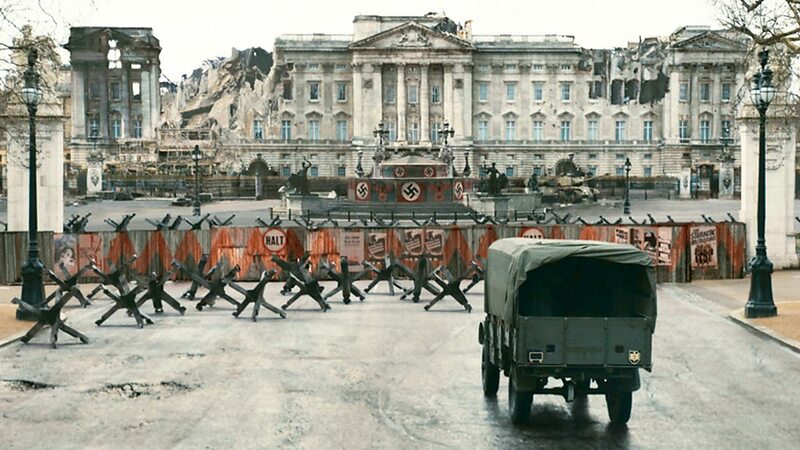 What this aspect of the movie does tell us is that the RAF were there and that they made a difference, even if they weren’t often seen from the beaches. Mass mobilisation for World War Three? Intern the terrorist sympathisers now?